Animals the size of Labrador retrievers are changing the face of Alaska, creating new ponds visible from space. 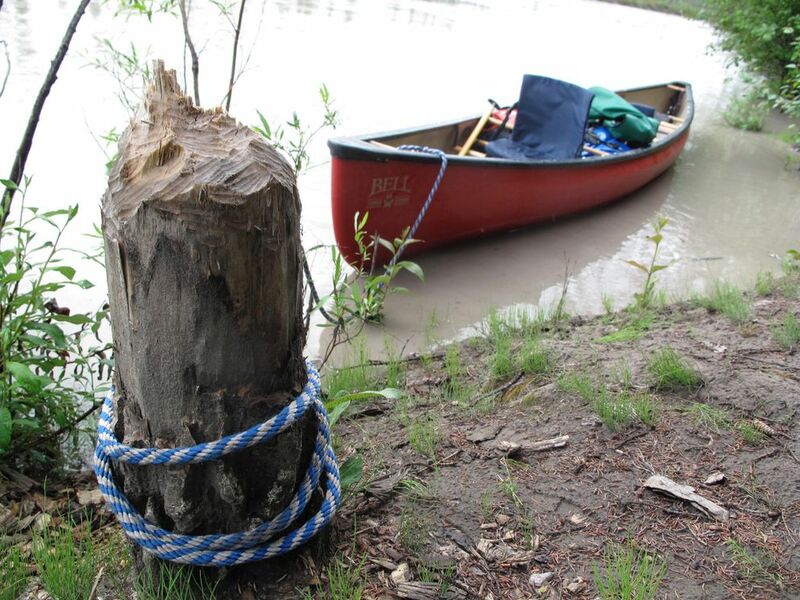 "These guys leave a mark," UAF ecologist Ken Tape said of North America's largest rodents, beavers. He has observed the recent work of beavers north of Arctic Circle using satellite images. 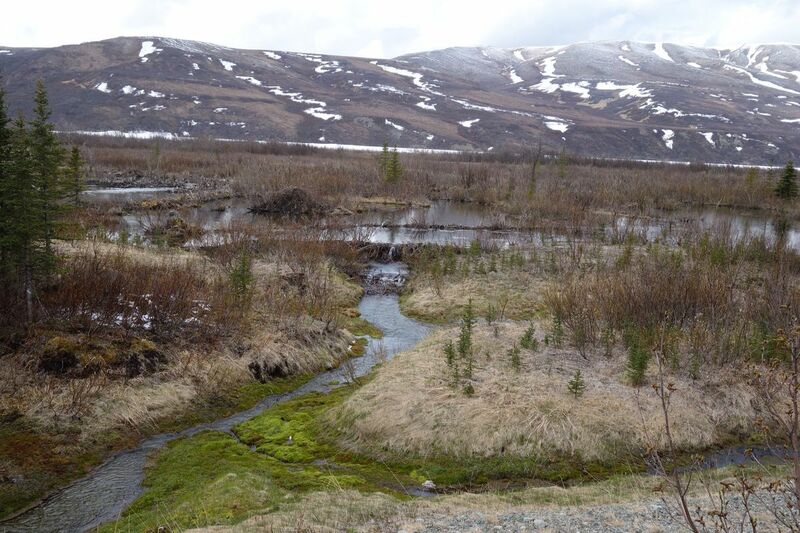 He and a group of Arctic researchers have found the creatures have somehow colonized the tundra of northwestern Alaska, damming more than 50 streams there since 1999. Beavers live in every province of Canada, every U.S. state and into northern Mexico. Range maps now need to be redrawn to include areas north of treeline in Alaska and Canada. Tape authored a photo book on shrub expansion in the Arctic and has written papers about moose and snowshoe hare appearing north of the Brooks Range. Beavers, he said, are a logical migrant to a warming north. "It's kind of the next wildlife you'd expect in tundra, but with much bigger implications," he said. With their dams and new lakes that hold warmish water, beavers of the tundra ecosystem are thawing permafrost soils through their actions. Beavers could be "priming arctic streams for the establishment of salmon runs" that now don't exist, maybe because extreme northern waters are too cold for egg development. Tape and co-authors Ben Jones, Chris Arp, Ingmar Nitze, Guido Grosse and Christian Zimmerman are writing about those changes in a paper with the working title, "Tundra be dammed: Beaver colonization of the Arctic." They used Landsat satellite images from 1999 to 2014 to show a good deal of beaver activity in the basins of the lower Noatak River and the Wulik and Kivalina rivers in Northwest Alaska. Because there was little or no beaver activity visible in the 1999 images, they conclude that beavers have migrated into those areas since then. They wrote that beavers there are moving in at an average rate of about 5 miles each year. How does a beaver make its way from the forest to the tundra? That's a good question. "We do not know how beavers reached the Beaufort Coastal Plain, but they would have had to cross a mountain range or swim in the sea," wrote Yukon biologist Tom Jung, who recently saw a beaver dam and winter store of food just 15 miles south of the Arctic Ocean in northern Yukon Territory. Looking at Alaska from above, Tape found beaver dams all the way up the Alatna River and over a broad pass into the Brooks Range and the Nigu River. The Nigu River flows north into the largest river on the North Slope, the Colville. As far as he knows, there are no reports of beavers in the Colville. "What stops that beaver from coming down the Nigu?" he said. Beavers are not great walkers, and their feet may not be adapted to cold. Beavers do not avoid winter by hibernating. To survive, they need a store of willow branches for food and water a few feet deep that doesn't freeze. They mate in deepest winter, January or February. The females have two to four kits from late April to June. Their presence north of arctic treeline since the late 1990s may be a population rebound from the late 1800s, Tape said, when the Hudson Bay Co. sold almost 3 million far-north beaver pelts to English buyers. But he wonders if beavers were ever present on arctic tundra landscapes. The northern expansion of the American beaver might be a phenomenon people have not yet seen.